Karnataka Chief Minister designate HD Kumaraswamy on Tuesday said that G Parameshwara will take oath as Deputy Chief Minister of Karnataka on Wednesday. Kumaraswamy will also sworn-in as Karnataka Chief Minister on May 23. Congress-JDS alliance staked claim to form the government in Karnataka after BJP's Yeddyurappa resigned from CM's post as the BJP failed to prove the majority in the Karnataka Assembly. Karnataka Chief Minister designate HD Kumaraswamy on Tuesday said that G Parameshwara will take oath as Deputy Chief Minister of Karnataka on Wednesday. Kumaraswamy will also sworn-in as Karnataka Chief Minister on May 23. 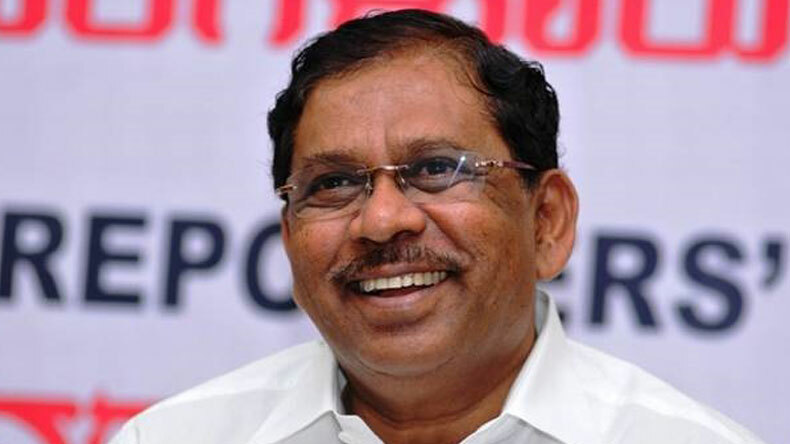 The Congress party has chosen its Dalit leader G Parameshwara to play the role of Karnataka’s Deputy Chief Minister. Congress-JDS alliance staked claim to form the government in Karnataka after BJP’s Yeddyurappa resigned from CM’s post as the BJP failed to prove the majority in the Karnataka Assembly. The Congress-JDS alliance together has the support of 115 MLAs, 3 more than the required number of 112 MLAs. Karnataka elections resulted in a hung assembly after no party — BJP, Congress, JDS — got the absolute majority. BJP being the single largest party with 104 seats first staked claimed to form the government but couldn’t able to prove the majority after Supreme Court cut down 15 days time to just one day to prove the majority. Following this, Congress-JDS alliance staked claim to form the government. The oath-taking ceremony will take place tomorrow around 4:30 pm. As per reports, only CM designate HD Kumaraswamy and his deputy G Parameshwara will sworn-in on Wednesday. However, it is going to be a big event as Kumaraswamy has invited a number of regional and opposition party leaders to attend his swearing-in ceremony. A meeting was held between HD Kumaraswamy, Sonia Gandhi and Rahul Gandhi to discuss the power-sharing, ministerial posts, and portfolios of the ministers. The talks were held on deciding the post of the Congress, which reports say that it will be given to Congress but there was no unanimous decision on the issue of two Deputy Chief Ministers.